Course Content: This is a one day rack inspection course that has been approved by both the Storage Equipment Manufacturers Association (SEMA) and the Institute of Occupational Health (IOSH). The aim of this course is to provide delegates with an understanding of how racking systems can be kept safe by a process of inspection and risk assessment in accordance with relevant standards and health and safety legislation. Demonstrate an awareness of the risks involved in carrying out rack inspections. 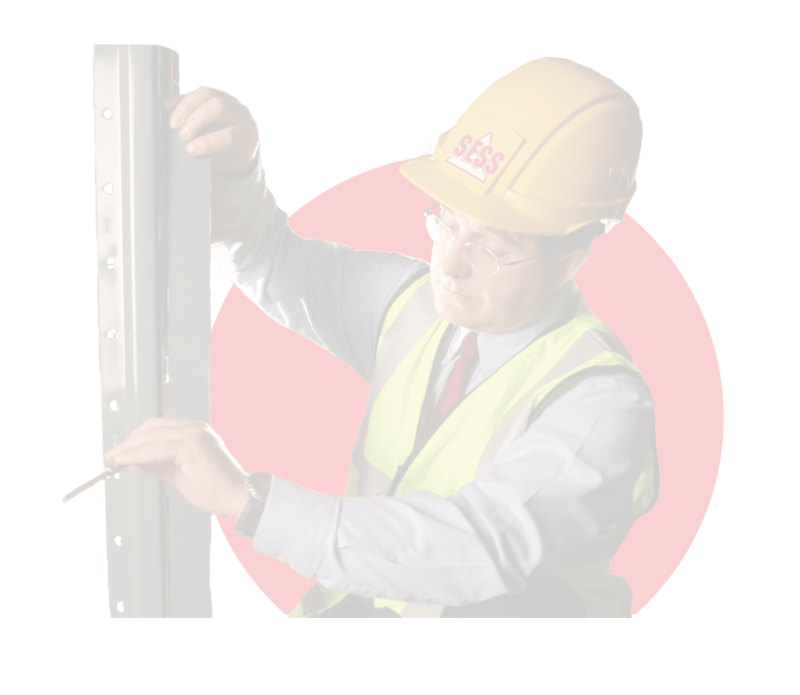 Carry out a suitable and sufficient risk assessment of racking to meet legal requirements. On the day: The morning session is classroom based and includes a series of individual and group activities. The afternoon session includes a multiple choice question paper and practical assessments. Who will benefit from the course: Anyone who is involved with or has responsibility for the safety of storage equipment. Due to the nature of the course and to ensure delegates receive the best instruction possible, the course is limited to a maximum of 8 delegates. Delegates should provide their own PPE for the course. This course is only available to end users. Price per delegate: £199.00 excl VAT, please email training@sess.co.uk for further information. The cost for the additional IOSH certification will make the price per delegate £229.00 excl VAT.